In the world of pattern writing, many people have a hand in getting a good pattern out and into the world. One person that the average crocheter never hears of, but that designers rely on is the Technical Editor. A Tech Editor usually works in a freelance capacity, working for publishers and yarn companies, as well as small independent designers. The job that they do is critical to ensuring that a pattern actually works and makes what it says it will. Many that work in this professional area, began after working in other areas of the crochet industry. Some were and are Designers, some Contract Stitchers, and some Teachers, but all have a long understanding and love affair with crochet, as well as some understanding of how the crochet industry works. The average day as a Tech Editor varies by the individual. Some work this career part time, still keeping their hand in other areas of work, others delve in full time. All however do understand their own work styles and limitations. As they have to utilize much math skills, they usually know what time of day they are sharpest for that kind of work, and niche out that time as their work hours. Even though all approach their work a little differently, dependent upon what works for them, they all have the same outcome. They must ensure that the pattern is formatted in the manner requested by the employer, meaning that if the publisher’s pattern style is to have the beginning chain stitches for each row at the end of the prior row or the beginning of the working row, the pattern should be set up that way, as well as all abbreviations matching. They also make sure the font is correct, the spacing, everything that goes into the finished pattern to ensure that it is consistent with the rest of the patterns in the publication. Then they go on to the pattern itself. They go over the gauge, and ensure that the measurements provided will actually work out with the row and stitch count and give the desired end product. Then read over every row to ensure that the stitch counts and repeats are all correct, they review increases and decreases, and they pull out yarn and work confusing steps out to see if there may be a simpler way of explaining them, they attempt to make the pattern as clean and orderly as possible. They may create graphs or charts to make the pattern simpler, if requested from the employer. They are a second set of eyes for a designer and a quality control for the publisher. Every designer has a different way of writing and expressing their design, a Tech Editor helps to bring that voice in unison of how others “speak” crochet, so that the pattern user can readily enjoy the design. Dependent upon the employer, they may even provide the pattern support long after the pattern is published. Meaning, if you have ever had a question in that magazine or book and contact the publisher, they are the ones to address the question and help you find the answer. Most are paid on an hourly wage; however some receive a flat rate for service, while work is often found from word of mouth, as well as through a network of connections throughout the industry. Some may utilize the skills needed in this career in a few other arenas, such as other fields of editing and writing. Attention to detail is a very desirable skill in this profession, as well as patience to work through complex problems. Being able to communicate with many different styles of personalities can also be an added benefit. While be adaptive to various computer software programs, and being able to focus and concentrate on the unique requests of each employer are a must. But the most important skill needed it a strong understanding of math, and the ability to decipher it in patterns. 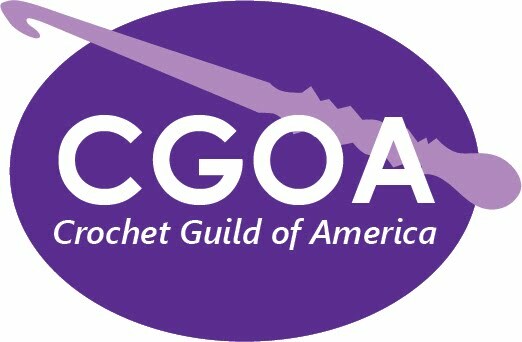 To begin a career as a Tech editor, engaging in networking opportunities with the crochet industry, such as the CGOA annual Chain Link Conference (the Knit & Crochet Show) is a great benefit. Investigating employment opportunities with publishers and yarn manufactures is also a starting point. While applying to become an Associate Professional with CGOA is an additional benefit. 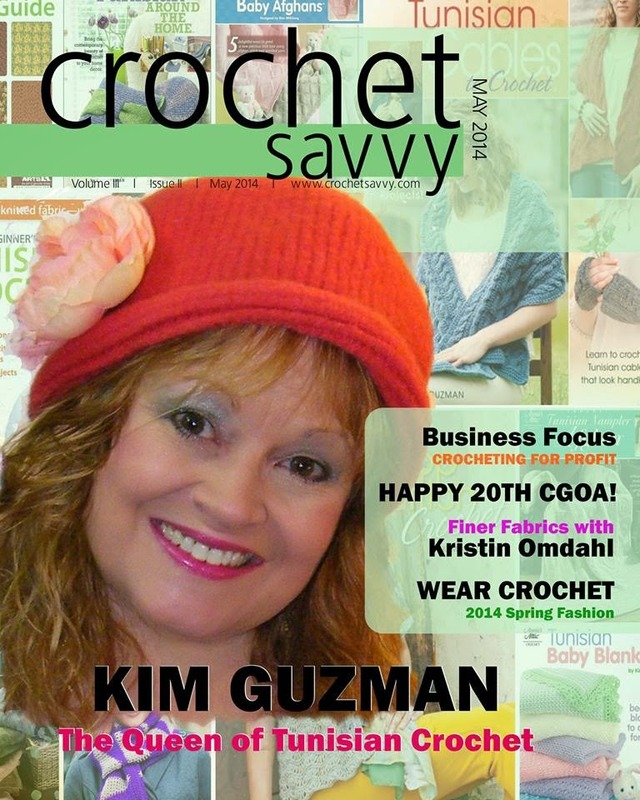 Crochet Savvy magazine is a free digital magazine, available online HERE. In the Spring issue, you'll find a wonderful article about CGOA as well as interviews with long-time CGOA members, Kim Guzman and Kristin Omdahl. The magazine is a unique, one-of-a-kind with articles about crochet. Although there are a couple of crochet patterns, it's not about patterns. It's about crochet itself; the art, the creativity, the hobby, the business and the life.